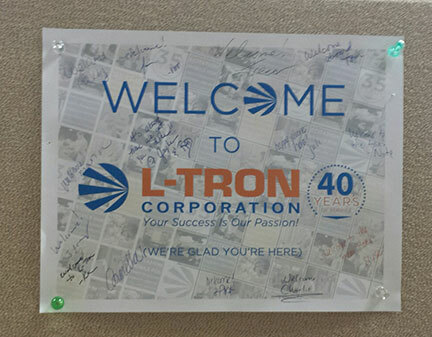 When I walked into L-Tron on my first day, I was greeted by CEO RAD DeRose. line technology is a novelty. Learn more about my background in part 1, here. 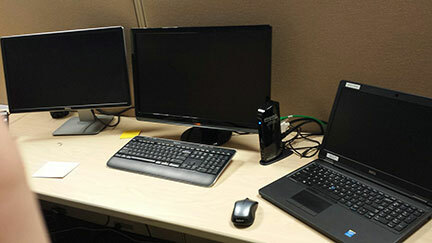 A USB 3.0 docking station to give me not one, not two, but three freakin’ monitors at the same time! I had to photograph it, text my wife, and demand one for Christmas. Okay, that’s not true. I can’t demand with my wife. I let her know I’d really like one. The expression goes, “It’s the little things that count.” I can get used to this. Day two at the company I discovered a simple printed page thumbtacked to my cubicle wall welcoming me to L-Tron. It was signed by all the employees. It still speaks to me today, five weeks into this new venture, as a reminder that I joined another team. L-Tron prides itself in molding jobs around people’s qualifications, background, training, experience, and talent. My role is still morphing and that is likely to continue for quite some time. It’s odd at first, particularly coming from the structured rank and file environment of a police agency. But right from the start, all of my co-workers are making my “molding” comfortable. Key to that (you’ll either find this disconcerting or be very cool with it) is a “flat” style of management. In a small company you find yourself working alongside the boss all the time instead of FOR the boss. I imagine it’s a constant balancing act for managers, but the owners of L-Tron, Gayle and RAD, seem to have it down. Gayle promotes team concepts and is the visible energy behind L-Tron. Quite frankly, she has so much energy, you can’t help but get caught up in her enthusiasm for literally everything. She describes herself and the geek side of the technology and data acquisition business as “quirky,” and believes quirky is cool. If you explore the company’s website and its presence on Facebook, Twitter, and LinkedIn, you’ll see how quirky works. You can also read one of our blogs, ‘Quirky is the New Cool’ here. 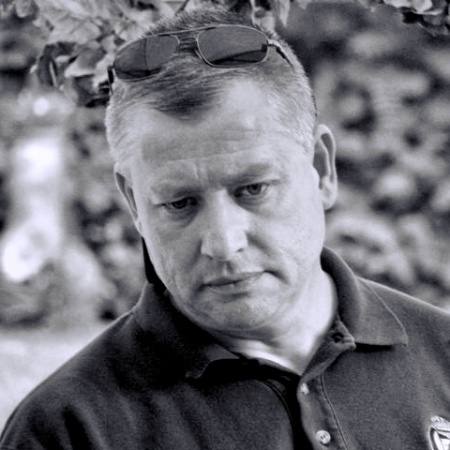 Hank Kula is a retired police sergeant with 26 years in law enforcement. A certified crime scene investigator, crash reconstructionist, and former journalist, Hank works as a police instructor with recruits, veteran officers, and supervisors. His instructional specialties are in crime scene management and investigation, photography, communications and public information.